Over the centuries, Jews have had a special connection to the diamond trade. Diamonds are first mentioned in the bible, and over the years, Jews all over the world have developed their diamond expertise. Once the state of Israel was established, its diamond industry quickly developed into a global diamond hub. The very first known listing of the word “diamond” is found in the bible. In Exodus 28:18 it is written: “and the second row shall be an emerald, a sapphire and a diamond”. The Jewish priestly breastplate, worn by the Jewish high priest, contained most known precious stones, including diamond. It is unknown whether the word “diamond” in this context refers to diamonds as we know them today. It is doubtful that there were diamonds in the area as early as that, as there are no diamond mines or resources in this region. During the middle ages and afterwards, Jewish diamond trade bloomed. Jews were forbidden to buy land or engage in agriculture, therefore driven to other professions like banking, trade and diamond and gemstones polishing and trading. Polishing does not require much space or equipment. In the case of danger, they could quickly pack up and leave. Additionally, diamonds and gemstones are small items bearing a high value, easy to move and hide. For a prosecuted minority, it was an excellent way to maintain wealth and move it of need be. Trust was essential since it was hard to ensure that stones and money safely reach their destination. 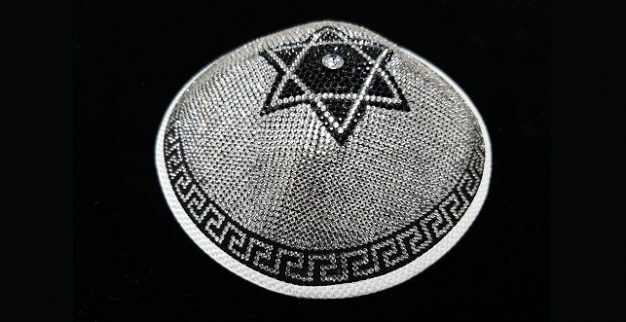 In this respect Jews enjoyed an advantage: The existence of well-established Jewish communities and family members in many European large cities allowed Jews to easily move around both rough, ready diamonds and receive payment for them. The Protestant Church in the Netherlands was tolerant to Jews; for almost 400 years, until WWII, the professional Jewish diamond cutters and polishers flourished in the country. The war, however, hit the diamond trade hard. After the war, Holocaust survivors centered in Antwerp, and the polishing industry rested mainly on them. The diamond industry in Israel began to develop in the 1930s, as many European Jews who specialized in diamond trade, jewelers and diamond processing came to Israel. They established the first diamond exchange in the country. In the 1960s, the Israel Diamond Exchange moved to the city of Ramat Gan and quickly grew into a major global diamond center. Today, the Israel Diamond Exchange (IDE) has four office buildings hosting the IDE member companies. At the IDE complex, there are diamond polishing factories and related businesses catering to the industry. Although Israel’s economy has expanded dramatically over recent decades, the various aspects of diamond trading still account for some 16% of Israel’s GNP. This includes dealing in rough stones, cutting, polishing, ready stone appraisal, setting in jewelry, buying and selling loose stones, etc.